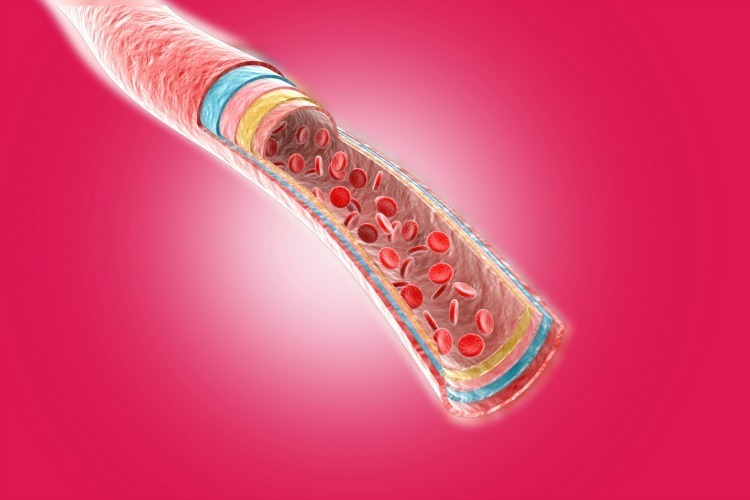 Cholesterol is a waxy substance that is generally found in the fats (lipids) in blood. This cholesterol is used by the body to continue building the healthy cells but having this cholesterol in high quantity means it can increase the risk of getting heart problems. High cholesterol develops fatty deposits in the blood vessels and this makes difficulty for the blood to flow through arteries so that your heart may not get the sufficient amount of oxygen rich blood which is needed to do its function. This ultimately increases the risk of getting heart attacks and decreased blood flow to the brain causes stroke. High cholesterol or hypercholesterolemia has been inherited but in certain times, it can also be a result of unhealthy lifestyle choices which are preventable and treatable with small changes in your diet and lifestyle for a longer period. There are no symptoms for the blood test but the blood test is the one and only way to detect the cholesterol levels. Regular checks will help to detect the problem at earlier cases especially if it is there in your family history or having any heart diseases and other risk factors like smoking, diabetes or any other high blood pressure problems, etc. Actually cholesterol is carried away through the blood that attached to proteins and this combination of protein and cholesterol is termed as lipoprotein. This lipoprotein differentiates the cholesterol into various types by depending what type it carries. They are. Low Density Lipoprotein (LDL): This is termed as bad cholesterol which transports the cholesterol particles throughout the body. This builds up in the arteries walls and makes them hard and narrow. Very Low Density Lipoprotein (VLDL): This contains most triglycerides which is a type of fat that attached to the protein in the blood. VLDL makes the LDL cholesterol larger in its size which causes the blood vessels to narrow. But remember that if you’re taking medications for lowering the cholesterol where you have high VLDL level then you have to take additional medications to lower the triglycerides first and then on the actual cholesterols. High Density Lipoprotein (HDL): This is also termed as good cholesterol which picks up the excess cholesterol which takes back to the liver. This cholesterol deposits or plaques can reduce the blood flow through arteries and this causes many complications like chest pain, stroke either heart or brain, kidney problems, etc. Normal blood cholesterol levels has to remain below 200 mg/dL and if it is between 200 – 239 mg/dL then it is termed as borderline high and when if it increased to 240 mg/dL or more then it is considered as high cholesterol and you need to take care of your health at this point of time in order to prevent many health ailments. These are common kitchen based ingredients that effectively plays a role in cutting down the cholesterol levels in the blood. So give a trail to these easy, safe and natural home remedies as a part of cholesterol reduction plan in the body and also to get rid of many health problems. Exercising regularly is an amazing way to balance the cholesterol level even if you are obese or not, it’s good for everyone to do exercise. Remember that if you’re overweight then losing at least 5 – 10% of fat in your body will help to lower the LDL or bad cholesterol up to considerable levels. Generally, people who are physically active can form more of HDL or good cholesterol which helps to keep your heart and other body parts active and healthy. Here I am not saying you that daily you have to necessarily go to gym and have to work out for few hours but you can simply go for moderate exercises which includes brisk walk for about 30 – 45 minutes is sufficient to prevent the high cholesterol in the body. Also be sure that you don’t have to spend this time (30 – 45 minutes) at one go, you can do this for 3 – 4 times a day by spending 10 minutes in each time. This form of exercise by interval will give the similar effect on the cholesterol as the exercise if done at one time. Not only walking, you can also move your body with swimming, running, jogging, aerobics, playing, dancing or even yoga will help you to get rid of the high cholesterol and to have perfect health. Omega – 3 fatty acids are well known to lower the LDL or bad cholesterol in the body. Fish is the best source of this omega – 3 fatty acids. You can eat the fish for at least two times in a week is needed to get this acid into the body and also to balance the cholesterol levels and lowers the triglycerides which prevents the heart and other diseases in the body. But be sure that not to add saturated fats while cooking this health and heart friendly fish. Also remember that when this fish oil has been taken without limiting the saturated fat intake then your LDL or bad cholesterol levels will not be changed and also it might increased by making the situation worse. So it’s best to either grill or bake the fish rather than frying it by adding vegetable oil or butter to it. If you’re vegetarian or undesired to eat fish then you can also take fish oil supplement by consulting your doctor first. Here are some fishes that are listed below which has rich source of omega – 3 fatty acids. Regular intake of this fish will give maximum benefits to the heart which it doesn’t get from any other source. Other than fish there are some other sources of omega – 3 fatty acids. They are. Many studies and research has showed that coriander helps to lower the total cholesterol levels especially LDL or bad cholesterol and triglycerides. These seeds are having hypoglycemic effects and this can be also used for diabetes management. Take a pan and place it on the heat. Pour water to it and then add coriander seeds. Allow it to boil for 15 – 20 minutes and turn off the heat. Strain the mixture by using a strainer or sieve. Let it cool for few minutes till it reaches room temperature. Drink this to get rid of the cholesterol level in the body. Or you can also add milk, sugar and cardamom to it and drink this by stirring it well and this drink can used as a replacement for the regular tea. Or you can use coriander seed powder in the place of coriander seeds to do this process. For more effective results, drink this 2 – 3 times a day on regular basis. Fiber is another best remedy widely used to reduce the LDL cholesterol levels in the body. This clears the cholesterol by binding with the intestinal bile acids which contains cholesterol and finally lead them out of the body. Research has proved that intake of a little of 10 – 15 gms of this soluble fiber a day will lower your LDL or bad cholesterol by up to 10% of the total level. Oats, dried beans and other foods which are having psyllium are rich sources of these soluble fibers. Pectin is one of the types of fibers and this pectin not only lowers the high cholesterol levels but also restricts the people from overeating with its property of slowing down the digestive process. Pectin rich foods include apples, pears, prunes, etc. Remember that the foods which are high in these fibers are low in saturated fats, calories and cholesterol. Here are some of the high fiber foods that are listed below. Eating food which has saturated fats and trans fats will be tasty but acts as main culprits in increasing the dietary cholesterol. So it’s always best that not to get tempted with these saturated and trans fats foods as these bad fats increases the bad cholesterol or LDL and triglycerides in the blood. Remember that you should not exceed more than 7 – 10% of the daily calories from the saturated fats. Full fat dairy products and meat are highly concentrated saturated fats and coming to trans fats, fried foods and commercially baked and cooked foods will occupy the first place. So whenever you buy these ready to eat food packets then you have to check the labels that whether it contains trans fat in much quantity or not. Even though if you see trans fats free label on the package also, it contains 0.5 gms of trans fat as this was allowed as trans fats free in United States. This means if you consume these so called trans fats free foods, then you are having 0.5 gm of this fat in each and every serving. If you ate several servings then just imagine how much this fat you are consuming. So to prevent this problem, check label if you find trans fat free then immediately read the ingredients list, if you found an item called ‘partially hydrogenated oil’ (which contains trans fats) then avoid taking that product and go for another one which don’t contains either trans fats or hydrogenated oil in it. Here are the list of foods that has high levels of saturated and trans fats which you have to avoid taking these, if you want to reduce the high cholesterol levels. Start using healthier fats like monounsaturated fats (olive, canola and peanut oil) and polyunsaturated fats (nuts like almonds, cashew and walnuts) rather than using saturated fats to get cut down the cholesterol level in the body. Green drinks particularly green tea is very beneficial for lowering your cholesterol levels. So always include this green tea in your daily beverages. Or you can simply replace the sodas or other sugary and carbonated beverages with this healthy green tea. It is also proved in a study that was conducted in the Brazil where it found that people who consumed the capsules that are made with green tea extracts has considerable effect of reduced cholesterol levels in their body. So drink this green tea 2 – 3 times a day on daily basis to completely get rid of the high cholesterol in the body. Or you can also include black tea which helps to decrease the blood lipids by 10% within 3 weeks and also reduces the risk of coronary heart diseases. Basil has hypolipidemic and anti-oxidant activity that helps to lower the cholesterol levels in the blood. This has lipid lowering effect that might be due to some constituent in oil that can either increase the catabolism or else interfere with the cholesterol absorption to prevent gaining cholesterol levels in the blood. Coming to margosa or neem leaves, it effectively reduces the bad cholesterol with its alcoholic extract that reduces the serum cholesterol to prevent the cholesterol levels. Take equal quantity of basil and neem leaves. Mix them well and crush them to make it like paste. Then take a sieve and place this paste on it. Now extract its juice and add this juice to water. Stir it well and drink this on an empty stomach to get rid of the problem. Doing the same process once daily will help to reduce the LDL or bad cholesterol in the blood. Red onions are more beneficial in dealing with high cholesterol levels. Hong Kong scientists have found that onions (especially red onions) help to reduce bad cholesterol and raise the good cholesterol levels. This in turn helps to lower the risk of developing the heart and kidney diseases. Take equal quantities of onion juice and honey in a bowl. Mix it well and drink this to get rid of the cholesterol level in the blood. Regularize drinking this once daily to get complete relief from the problem. Take an onion and chop this finely. Add pepper to it and mix all these things in a cup of buttermilk. Consume this to get rid of the problem. Regular consumption will give best results over cholesterol on the blood. Or you can include ginger, garlic other than onion in the diet to get rid of the problem. Indian gooseberry or amla is a natural hypolipidemic agent that helps to promote the lipid concentration reduction in the serum which in turn helps to reduce the cholesterol and the risk of getting other health problems. Study that was published in the International Journal of Medical Research and Health Sciences has been revealed that this amla contains anti-hyperlipidemic, anti- atherogenic and hypolipidemic effects. Take Indian gooseberry and add this to warm water. Stir it well and drink in the morning on an empty stomach. Regular intake of this drink daily will help to keep your cholesterol levels low and perfect. Watermelon has lycopene which is a carotenoid pigment that helps to reduce the cholesterol levels especially LDL levels and thus further prevents the clogged arteries and heart diseases with its health boosting properties. So you can eat this fruit regularly to lower the LDL levels and also to have healthy blood flow in the body. Take some watermelon seeds and dry them in the sun for few hours. Then roast them finely and crush it by placing it in the grinder to get fine powder. Now take 1 teaspoon of this watermelon seed powder and add this to water. Stir it well and drink this to cut down the high cholesterol in the body. Do this process for once daily till you get relieved from the high cholesterol. Oats are fully filled with soluble fiber and thus reduce the cholesterol absorption in the blood and body which in turn helps to lower the LDL or bad cholesterol levels. So enjoy eating a bowl of this oatmeal daily to reduce the cholesterol levels. Take cooked or bran oatmeal which contains approximately 3 gms of soluble fiber and beta-glucan. Then add finely chopped fruits and nuts in it. Stir it and have this oat to get rid of the high cholesterol and also to get other health benefits. Or you can also take plain oatmeal without adding any fruits or nuts in it. Many studies and research has shown that garlic helps to not only to reduce the LDL or bad cholesterol levels but also helps to raise the HDL or good cholesterol levels in the blood. This further helps to decrease the amount of fat in the blood. Garlic if taken regularly then it not only lowers the cholesterol but also prevents the blood clotting, decreases the blood pressure and protects the whole body against almost all the infections. This help to stop the artery clogging plaque in the early stages by avoiding the cholesterol particles from sticking to the artery walls. So include this garlic regularly in your diet in any form to keep your heart healthy and also to maintain proper cholesterol levels in the blood. Apple cider vinegar helps to lower the total cholesterol and triglyceride levels. Other than this, it acts as a home remedy for number of ailments that includes high blood pressure, upper respiratory infections, gout, etc. Take raw, organic and unfiltered apple cider vinegar and add this to water. Mix it well and drink this to cut down the cholesterol levels. Daily drinking of this 2 – 3 times a day for at least a month. In this process, you can increase this ACV amount to 2 tablespoons per glass slowly. If you don’t like this ACV taste then you can mix this in fresh orange juice, apple juice, grape juice or any other your favorite fruit juices. Monounsaturated fats are very useful in reducing the cholesterol levels in the body, which is proved in many studies conducted on monounsaturated fats on cholesterol. This fat helps to lower the LDL cholesterol and raises the HDL cholesterol in the blood which finally helps to prevent the cholesterol in the body. So it’s best to shift to this oil for better health by using healthy olive oil in the place of vegetable oil for salad dressing, marinating chicken or fish and roasting vegetables. The natural monounsaturated fat sources like avocado helps to raise the HDL with its component called beta – sitosterol, a plant based product that reduces the cholesterol amount which is absorbed from food. Make sure that these natural sources like nuts, avocadoes are generally high in calories so you have to use them in moderation. Here is the list of few foods that has monounsaturated fats used to prevent the cholesterol levels. Study was conducted by Baylor College of Medicine in which they found that monounsaturated fatty acids (MUFAs) in olive oil helped to reduce the LDL or bad cholesterol in the people who has diabetes or metabolic syndrome which is as effectively as low fat diets. Fat is an essential compound for performing certain bodily functions, so you have to include this in your diet but opt it from healthier ones. Polyunsaturated fats helps to reduce the high cholesterol (just like monounsaturated fats). There are certain nuts which has high levels of polyunsaturated fats that help to keep the blood vessels healthy. But make sure that only handful of nuts is essential to get this fat during the day and more than this will lead to other health problems like obesity or quick weight gain, increase in cholesterol, etc. due to high calories in nuts. Here you have to be clear that you should not include salt or sugar coated nuts in your diet why because these nuts will spoil the main purpose of using the nuts i.e. converting good fat to good HDL cholesterol levels. So it will be more efficient if you take only raw nuts. Here are some of the nuts that are listed below which is used to get polyunsaturated fats into the body and thereby to get rid of the high cholesterol. Drinking a glass of wine most preferably red wine will help to reduce the high cholesterol levels. It is supported by many researches that moderate consumption of alcohol (red wine) everyday can help to raise the HDL or good cholesterol levels in the body. Here red wine is prepared with high fiber red grapes which give its best effect on the cholesterol levels. Red wine contains a plant compound known as saponins which are beneficial for reducing cholesterol. But make sure that only two glasses for men and one glass for women per day is the recommended dosage. More than this can lead to harm the whole system of the body. American Heart Association has kept a caution that against beginning to drink this if you don’t drink this as of now. Drinking 3 cups of fresh orange juice daily will definitely help to reduce the blood cholesterol levels naturally with its vitamin C, folate and flavonoids. Study published in American Journal of Clinical Nutrition has found an interesting fact i.e. if you drink 750 ml of pure orange juice everyday will help to increase the HDL or good cholesterol levels and also triglycerides by decreasing the LDL / HDL ratio in the patients who has hyper-cholesterolemic. Orange juice which has sterols is more better than normal juice. This study also showed that taking about 3 gms of phytosterols per day can lower the total cholesterol up to 11% and LDL by 15%. So it is most important to drink 2 glasses of this plant sterol contained orange juice every day to reduce your cholesterol levels. Coconut oil is a saturated fat but acts as a beneficial home remedy for treating the cholesterol in the blood. This oil contains lauric acid which helps to increase the HDL or good cholesterol levels and thus improves the LDL / HDL ratio. Take pure coconut oil in a bowl and use this in your diet. Or you can simply mix this in any fruit juices or water and drink this to get relief from the high cholesterol. Make sure that avoid usage of refined or processed coconut oil. Regular usage of this oil in your daily diet will help to cut down the cholesterol levels in the body. Red yeast rice has a compound called monacolins which inhibits the cholesterol synthesis and thus helps to lower the cholesterol. Simply saying that this rice fermented by red yeast (monascus purpureus). This rice has been traditionally used for medicinal purposes in China from thousands of years. You can easily find this red yeast rice tablets in a famous pharmacies or any health food stores. If you’re suffering from the high cholesterol then taking 1200 – 2400 mg of this supplement either once or twice a day on daily basis. Many studies have shown that this dietary supplement can decrease the total and LDL (bad) cholesterol levels. But however be cautious while taking these supplements in terms of their doses and long term effects which are still unclear. These yeast rice products contain lovastatin and other chemicals which can cause side effects. So consult your doctor first before taking this directly or in supplements form. Never take this in any form if you are pregnant, breast feeding or nursing women or suffering from any liver problems. Turmeric helps to lower the blood cholesterol with its property. It affects the LDL or bad cholesterol levels and triglycerides. Curcumin reduces the LDL cholesterol levels when compared to placebo. This curcumin communicates to liver cell genes in such a way to increase the production of the messenger proteins (mRNA) which in turn helps to increase the production of LDL receptors in the liver. This LDL or bad cholesterol receptors clears the quantities of LDL or bad cholesterol in the body. Take turmeric and add this to cooked and mashed eggplant. Stir it well and add this to boiling water. Mix it to make it like paste and apply this paste on the whole wheat bread. Spread this all over the bread and eat this after having your heavy fat meal. Or include this turmeric in your cooking or in any supplement form and take this daily to get clear the LDL and triglycerides to cut down the cholesterol. Chocolates are one of the sweet heart healthy foods which have anti-oxidants that help to build HDL cholesterol levels.In a study that published in AJCN, participants are given cocoa powder for 12 weeks of time, then they had 24% increases in HDL levels when compared with 5% increase in control group. But make sure to choose the dark or bittersweet kind of chocolates which has 3 times more of anti-oxidants that prevent the blood platelets from sticking together and thus may keep the arteries unclogged when compared to milk chocolates. Then take a double boiler and place this chocolate and milk on the top of it. Place this boiler over boiling water of medium heat. Allow about 3 minutes of time to melt the chocolate and stir it well by combining both milk and chocolate. Then remove it from heat and hold the stem to dip each berry into this chocolate mix 3 quarters of the way up. Place this on the parchment by leaving 1 ‘’ of space all around each berry. Finally refrigerate this for 30 – 45 minutes to set this chocolate and gives it a final form. Have this in small quantities to cut down the high cholesterol levels in the blood and also to enhance the heart’s health. Spinach has a lot of lutein which is sunshine – yellow pigment that generally found in the dark leafy vegetables and egg yolks. This lutein already has proved that fight against the age related macular degeneration (cause of blindness). So it is suggested that taking 1/2 cup of lutein rich food everyday to fight against heart attacks by helping the artery walls which shrug off the cholesterol invaders causing clog to the walls. First of all, take a large bowl and pour spinach, onions, almonds and oranges in it to make the salad. For making honey – mustard dressing, take a small bowl and whisk together the mustard, lemon juice, orange juice and honey. Stir well and pour this dressing over salad. Toss them gently to combine it properly. Have this salad regularly to completely fend off the high cholesterol levels in the blood. Or you can have a bag of baby spinach leaves that can be used for salads that can use for salads or pop it in the microwave for the quick side dish. Sterols or stanols are the substances that are found in plants which help to block the cholesterol absorption by the body. You can get these plant sterols in orange juices, margarines and yogurt drinks. Taking 2 gms of plant sterol per day is sufficient to reduce the LDL cholesterol by more than 10%. Or you can get this by drinking a glass of sterol fortified orange juice daily is essential to get the same 2 gms of sterol for the body. Even though it is tough for the people who are having this habit but you have to do this to raise the good or HDL cholesterol levels. This smoking will lower the HDL levels which in turn poses a great risk for the heart diseases. Here are some helpful things that you can get if you quit the cigarette or any tobacco smoking. If you quit smoking, then within 20 minutes your blood pressure will be decreased. You can check yourself to get proof. Within a year of time, you risk of heart diseases are reduced to 50% as compared to that of other smokers. Your risk of heart attack diseases will get down within 24 hours after you quit smoking. Within 15 years, you will be in a equal position with the people who never smoked in life (means without having any risk of getting heart diseases caused due to smoking). Do you want anything more to stop smoking? Quit smoking to reduce cholesterol and to improve the overall functioning of the body (mainly heart) for better living. Rhubarb is a cholesterol buster that definitely cut downs the high cholesterol levels especially if you consume this after having your heavy fat meal. Take a double boiler and pour this rhubarb in it. Cook this for few minutes by adding a little of either honey or maple syrup for sweetness. After it gets cooked, add cardamom or vanilla as per your preference. Stir it well and consume this to get rid of the problem. Regular intake of this rhubarb will help you in cutting down the extra cholesterol in the blood and makes you healthy. Honey helps to get complete relief from the cholesterol with its amazing properties. It cleanses the system by removing the excess fat or cholesterol in the blood and body. It is widely used as Ayurvedic process as drinking this honey early morning will convert the cholesterol as HDL and prevents the LDL in the high cholesterol levels. Take organic honey and add this to hot or lukewarm water. Stir it well and drink this in the early morning on an empty stomach. Regular drinking of this warm honey water will help to cut down the cholesterol levels. Take equal quantities of honey and lime juice. Add this to warm water and mix it well. Drink this in the morning with an empty stomach. Or you can use 10 drops of apple cider vinegar in place of lime juice to get rid of the high cholesterol levels. Drinking this powerful cholesterol fighting punch will help to clear the high cholesterol levels in the blood. Soybeans contains high amounts of omega – 3 fatty acids that help to reduce the LDL or bad cholesterol by up to 20% when you take 25 – 50 gms of this soy proteins. For more effective results, eat these beans daily for a month or two to completely get rid of the high cholesterol and thereby other health problems in the body. This soy beans not only fend off the LDL raise in the people who has normal levels of cholesterol but also helps to improves the ability of arteries to dilate, which means it helps to expand the arteries better to allow the unimpeded passage of fats and other substances that otherwise it may cause a blockage. Vitamin C contains anti-oxidants that help to reduce the inflammation. In some study it showed that significant reduce in the serum LDL or bad cholesterol and triglycerides and thereby cholesterol levels. It is recommended to take vitamin C supplement of at least 500 mg/day. Here are some good source of vitamin C that include. Citrus fruits like lemons, oranges, grapefruit, limes, etc. Cruciferous vegetables like cabbage, broccoli, cauliflower, kale, etc. Find out how to keep your cholesterol levels under control with these simple and effective tips. Careful choosing of the diet will play an important role in reducing the cholesterol levels. Avoid taking junk, processed, oily foods which raises the cholesterol levels in the blood. Drinking at least a liter of water everyday can prevent the increase of cholesterol level in the blood. If you drink more than a liter of water means you can easily and quickly reduce your cholesterol levels. Fish oil contains omega – 3 fatty acids which help to lower the triglycerides (fats in the blood) and cholesterol levels. It is recommended about 1 – 4 gms of fish oil everyday to cut down the high cholesterol level in the blood and body. Nuts that include walnuts, almonds, peanuts, pecans, hazelnuts, pistachios and other nuts and seeds are very much used to control the high cholesterol with its plant sterols and fiber rich properties. Especially walnuts help to lower your total cholesterol and triglyceride levels. So daily have a handful of any delicious roasted nuts but avoid over taking this. Increasing the daily consumption of the whole grains and other fiber rich food in your diet will definitely help to cut down this high cholesterol levels. Daily take a note on the food which you eat to find out how much cholesterol you’re taking into the body in the form of food or diet. Include alfalfa sprouts (improves or normalize cholesterol levels), artichokes (lowers the cholesterol levels and has cholesterol busting properties), beets (full of carotenoids and flavonoids that lowers LDL), carrots (full of pectin to lower cholesterol), olive oil (protects the heart by lowering LDL and increasing HDL), rhubarb (cholesterol buster) in your diet will help to effectively cut down the high cholesterol levels in the blood and makes you healthier than before. Having large waist circumference is also increases the risk of high cholesterol and thereby other health problems. For men, the waist circumference is of at least 40 inches (102 centimeters) or woman with waist circumference of at least 35 inches (89 centimeters). If higher than this, you get more chances of getting this cholesterol in higher amount. Poor diet is another important factor causing high cholesterol. Foods like red meat, full fat dairy products, saturated fat that found in animal products and trans fats which is more on commercially baked cookies and crackers will raise the cholesterol levels. People who have body mass index (BMI) of 30 or greater will definitely puts you at risk of high cholesterol. Make sure that high blood sugar contributes to high LDL or bad cholesterol by lowering the HDL levels in the blood. So check with your high blood sugar levels or diabetes as this damages the arteries lining. In addition to regular exercise, you have to do sedentary lifestyle to be more active which means doing physical exercises wherever you can do it like taking stairs instead of elevators, use bicycle instead of car for short distance, running errands on foot and finally aim to accumulate 10,000 steps a day and continue moving on daily to cut down the high cholesterol levels. Giving up the organ meats which are high not only in iron and protein but as well as in high fat and cholesterol. So prevent eating or limit it to clear the problem. Eating smaller meat is another way to lower the intake of saturated fat intake in your diet and also make the whole grains in the center of the meals and then use this meat as garnish or side. Pastry like donuts, Danishes, piecrust, eclairs, etc. is a hidden source of the saturated fat. All these confections are made with shortening the butter or hydrogenated fats which have to be limited by the people who have to eat less saturated fat. So stick to whole grain bread and rolls by reading the labels on the packages. Avoid eat the skin of poultry (i.e. skin of the chicken or turkey) which is not recommended for the people who are in the diet for reducing their cholesterol and fat why because this contains rich amount of saturated fats and triglycerides. Broiling and steaming are the best heart healthy ways of cooking foods, as these process doesn’t require any additional fat for its cooking. Always prefer to has vegetarian food whenever possible why because foods that are derived from this plant sources will not contain any cholesterol and tend to lower in fat (with polyunsaturated and monounsaturated which are healthier and best than saturated or trans fat). But the animal based products have dietary cholesterol which has high amount of fat particularly saturated fats. So do favor to your arteries by increasing the intake of the vegetable proteins like beans, whole grains, tofu, etc. in your diet. Therapeutic Lifestyle Changes (TLC) is a diet which is low in saturated fats and cholesterol that helps to reduce the blood cholesterol level and thus decreases the chances of developing the heart diseases or lessens the further heart attacks or any other heart or kidney disease complications. Include avocados in your diet which has rich source of heart healthy monounsaturated fat which increases HDL and lowers the LDL. This also helps to reduce the cholesterol absorption amount from the food. But remember that these avocadoes are little high in fat and calories, so take them in moderation. Policosanol which is produced from sugar cane and this is more effective in lowering the bad or LDL cholesterol levels in the blood. Hypothyroidism is sometimes correlates with high cholesterol levels in the blood. Make sure that your thyroid functioning is normal and not a cause for high cholesterol. Also check your doctor to improve your thyroid functioning which may reduce the cholesterol levels naturally in the blood. Make sure to consult the doctor if you’re cholesterol has not came down or if you got negative results for medical assistance and treatment to treat high cholesterol level in the blood and also to prevent the further diseases or any harm done to the whole body. Always regularize all the remedy processes to get maximum benefit from it in preventing the cholesterol. Increase the magnesium levels in the daily diet. Foods like kelp, almonds, wheat bran, cashews, wheat germ, pecans, millets, tofu, dark chocolates, molasses, brewer’s yeast, English walnuts, brazil nuts, peanuts, buckwheat, dulse, filberts, rye, etc. or apply some magnesium oil topically can also do wonders on reducing the cholesterol levels. Follow all these natural home remedies which are safe, herbal, organic that gives long lasting results. But remember to consult doctor if anything persists to get rid of the problem. This is all about Home Remedies to get rid of High Cholesterol. Hope you’ll give a trial to these remedies and tips for controlling your cholesterol levels in the blood. Or do you know any other remedies or tips for controlling the cholesterols? Then share your experience with us.